Marcelle will lead us in exploring “Quaker Tools for the Journey” as we delve into the spiritual roots and insights of Friends who also wrestled with complex and trying times. Marcelle takes inspiration from early Friends to help us find the courage to become all God has created us to be in our day. From her book, Our Life is Love, she will draw on themes in the lives and letters of early and contemporary Friends: seeking, longing, community, abiding. 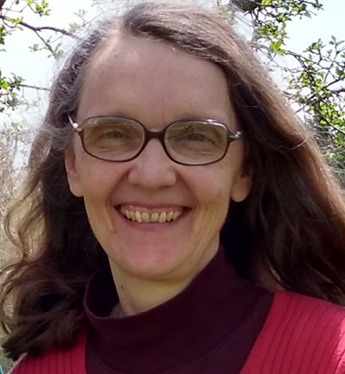 Marcelle Martin has led workshops and retreats across the country with a call to help nurture the spiritual vitality and radical faithfulness of Friends and Quakerism today. For four years she was the resident Quaker Studies teacher at Pendle Hill. She was a core teacher in the School of the Spirit and the Mullen Writing Fellow at Earlham School of Religion. It is with great joy that the Ministry and Pastoral Care committee invites Friends to gather in preparation for our Annual Session with this wise and loving teacher of Quaker spirituality. 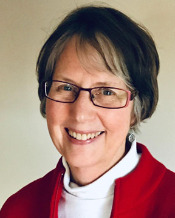 Patti Nesbitt has had a varied and creative free-lance career in environmental consulting, research, writing, and most recently, palliative care nursing. A graduate of the School of the Spirit, she is called to strengthen the Quaker community through Intervisitation and has traveled extensively in the ministry both internationally and in this country. Patti is a member of Sandy Spring Friends Meeting and has served Friends and BYM in many capacities, including the Friends House Board, the camping program and camp properties committees, and the Intervisitation Working Group. This year’s Wednesday afternoon plenary is being delivered by the Young Adult Friends (YAF), who will be focusing on racial bias and how to talk to each other about it. YAF have spent the past year working to prepare some tools that Friends can use when confronting racism in their daily lives. These tools are drawn from the training given to the Change Groups for monthly meetings arranged by the Working Group on Racism and conducted by Dr. Amanda Kemp. The YAF community feels strongly that BYM as a whole would benefit from learning some of the key aspects of Amanda Kemp’s method, and so we have (with her assistance) prepared these tools for Friends’ journey through the thorny issue of racism. YAF are a group of Quakers between 18 and 35 years old who meet together during the year for worship and fellowship, and strive to foster a loving and supportive community. This program is planned for ages 10 and up. A parallel program for K-3rd/4th grade children will be led by Jennifer DeLorge-McKeown and members of the YAF community. Jennifer is a long-time K-12 educator who works on the Junior Yearly Meeting staff, and is a member of Annapolis Friends Meeting. 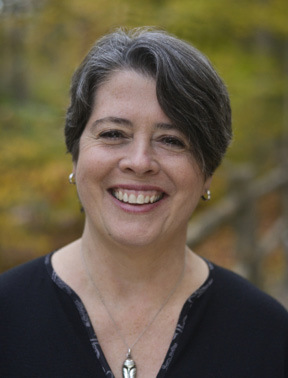 Eileen Flanagan, a member of Chestnut Hill Friends Meeting in Pennsylvania, is a Quaker author, activist and teacher. A graduate of Duke and Yale, she is the award-winning author of three books and scores of articles. In addition to helping people to make their activism more effective through her online courses, she speaks to international audiences on how to build a spiritually grounded and effective climate justice movement. For five years, she served as board chair of Earth Quaker Action Team, a scrappy little group which successfully pressured one of the largest banks in the U.S. to stop financing mountaintop removal coal mining.